Since 1986 McMillen Metals & Demolition, LLC based in Atlanta Georgia, has been a leading nationwide demolition contractor, used equipment buyer and scrap metal buyer. 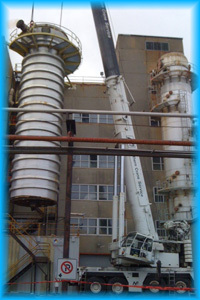 McMillen Metals & Demolition, LLC specializes in heavy industrial demolition for all mills and plants. We possess extensive expertise in engineering, specialty machinery demolition, and asset equipment recovery. 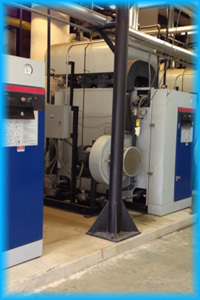 We buy, remove and dispose of all types of used process equipment and scrap metal. McMillen Metals & Demolition, LLC has one of the most extensive inventories of used equipment for all types of industries. 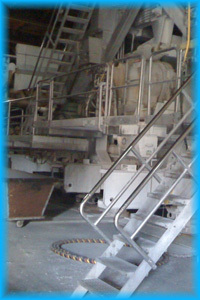 We have established an excellent worldwide reputation as a supplier of used process equipment that is solid and reliable. We have experienced professionals that know how critical your needs are and react quickly and precisely. Our knowledge of used process equipment means we can target what your needs are and make all the necessary arrangements to get your plant or mill back up and running as quickly as possible! Safety is always our top priority! We have a documented record of providing a safe working environment for all our employees, site owners, subcontractors and general public. All McMillen Metals & Demolition LLC employees are highly trained and abide by all OSHA safety rules & regulations. McMillen Metals & Demolition LLC performs work throughout USA & Canada. We display the best example of both mobility and flexibility by maintaining an excess work force that can complete your project in a timely and efficient manner! Call Today To Speak With One Of Our Buyers! McMillen Metals | Powered by Mantra & WordPress.